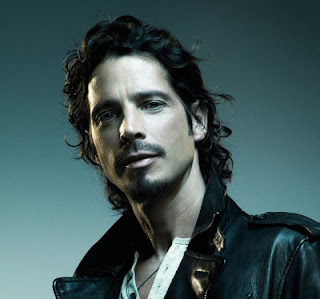 A Michigan medical examiner made the ruling on Thursday (May 18), hours after the 52-year-old Soundgarden singer was found dead in a Detroit hotel room on Wednesday night (May 17). His widow Vicky Karayiannis previously assured family and friends Cornell was not suicidal or depressed before his death. A family friend who spoke with her on Thursday morning told TMZ.com Vicky had chatted with her husband during soundcheck before he took the stage in Detroit, Michigan and after Wednesday night's show, and she insisted her husband was in no way suicidal. Vicky and Chris share two kids, while the rocker also leaves behind a 16-year-old from his first marriage to Susan Silver. Tributes and notes continue to pour in for the late rocker after earlier messages from the likes of Jimmy Page, Joe Perry, Sir Elton John, Billy Idol, Sheryl Crow, and Courtney Love. His Audioslave bandmate and Rage Against the Machine frontman Tom Morello has shared a photo of the pair online, and in the accompanying caption, reveals he is "devastated and deeply saddened" by the loss of a "dear friend" who will "always be in my heart", and actor Daniel Craig is "very sad" after learning about the death of the man behind the theme for his first outing as James Bond. The rocker wrote and recorded You Know My Name for Casino Royale. Country star Zac Brown has also offered a heartfelt message to the man who joined the Zac Brown Band for 2005's Heavy Is the Head: "Chris Cornell touched so many & we were fortunate to have worked w/ (with) him," Brown tweeted. "He was a true talent & gentleman. Our thoughts are with his family." Heavy is the Head gave the Zac Brown Band number ones in both the Mainstream Rock and Country Airplay charts in the U.S. It was also the final number one for Cornell. Meanwhile, Jason Aldean, who performed Just Gettin' Started with the late rocker at the 2014 CMT Artists of the Year special, adds, "I only got to work with Chris once, but he was a true rock star. He was a bad**s onstage and a class act offstage."